Looking for that special gift for the petrolhead in your life? Winter gift packs are the perfect way to give them all the essentials they need to survive the colder months at a great price. Get everything you need to face winter head-on with Euro Car Parts’ winter gift packs. 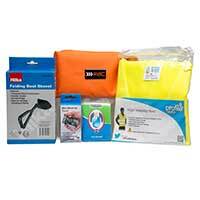 As well as providing all the kit you need in one convenient package, these packs are fantastic value too. Cold weather can create all sorts of problems if you don’t have the right equipment. Frosty windscreens reduce your visibility, freezing temperatures can be tough on engine components, and slippery roads mean you need to take extra care on your daily drives. 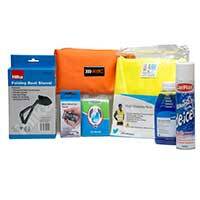 Make sure you’re prepared for sub-zero temperatures with our winter gift packs. 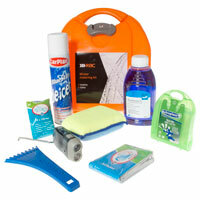 Containing essentials like screenwash, ice scrapers and de-icer, you’ll be fully kitted out for the worst of the weather. Euro Car Parts stocks a huge range of items to help you through the worst winter – from blue antifreeze to snow chains, we’ve got all you need. Pick up a great deal on your winter essentials today.